CALL: 252-329-9300 to receieve ENROLLMENT INFO NOW! WITH OUR CAMERA SYSTEM YOU CAN VIEW YOUR CHILDREN ONLINE ALL DAY FROM WORK, HOME, OR SCHOOL! 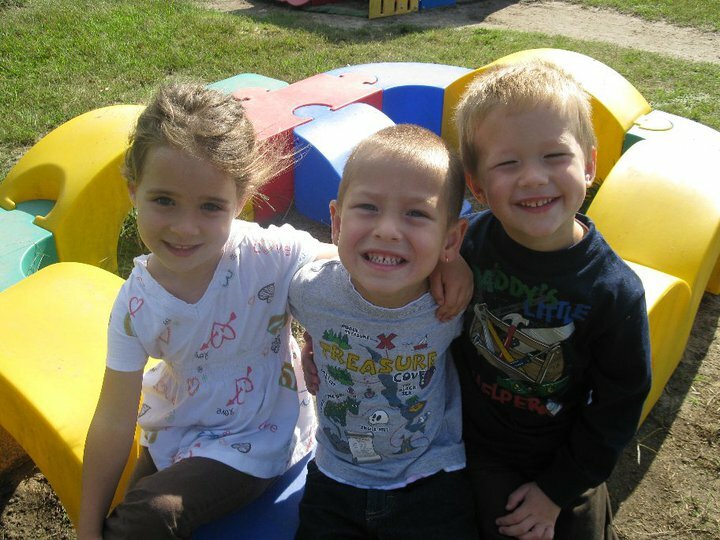 Angels of Tomorrow Child Care Center is designed to assist parents by providing a Christian Early Childhood Program where children are helped to grow, learn, and develop physically, socially, emotionally, cognitively, and spiritually. Our mission is to provide an environment which supports the growth of the whole child in developmentally appropriate ways as we help children experience and learn about God's love. At Angels of Tomorrow we encourage children to acquire self-esteem, concern for others, a sense of community and a spirit of sharing. We also aim to foster creativity, exploration, self-discipline, and a love of learning in your child. I wanted to take a moment to say “Thank You” for the OUTSTANDING facility that you have. The cleanliness was the first thing to catch my attention when I walked into the building for the first time. As I toured, everything about your program lined up with what I wanted and expected for my daughter, my spirit immediatley had peace with choosing your center for her. In a very short time I was WOWED with my daughter’s teachers. From the very start I could tell that they “love what they do”, their hearts are in their jobs. The interaction, love, nurturing, redirection of behavior, and the teaching are just some of the over-impresive things that I am so pleased with from my daughter’s teachers. Ms Inez, Ms, Victoria, Ms. Tracey, and Ms. Amber are the teachers’s that I have directley encountered and they are WONDERFUL and their parent friendly attitude is BEAUTIFUL!!! They are honest, direct, humble and professional when it somes to sharing information, concerns, and progress about my daughter. The status of your center comes from AWESOME owners/director/trainer(s) and teachers you hire who have the same vision as the Leaders who trust them. You all are the BEST and again, I thank you all so much!!! Your daycare center is an answered prayer. I will highly recommend your childcare center to anyone who wants their child in a safe, clean, loving, nurturing, teaching, and sincere environment. God Bless you all for what you do and please keep up the EXCELLENT work. I pray that God will continue to bless you all for what you do. Copyright © 2019 Angels of Tomorrow. All Rights Reserved.